You too can have a smile this beautiful. According to the American Academy of Cosmetic Dentistry, about half of all Americans aren’t happy with their smile. Fortunately, there are lots of ways to improve it. Whether you’re suffering from crooked teeth, gaps between your teeth or yellow teeth, porcelain crowns or veneers can give you an instant smile makeover. This is a great question. People talk all the time about how they had to get a crown. Maybe you’ve even had a crown but still don’t understand the process. And what celebrity doesn’t get veneers. But, what exactly are they? Both crowns and veneers are forms of dental restorations. In other words, they’re add-on components that build onto an existing tooth. We suggest porcelain crowns over metal crowns, but there’s plenty of dentists who don’t. Why? 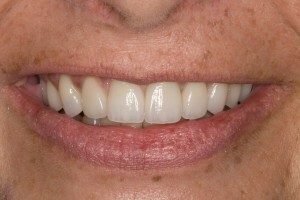 The skills needed to do all porcelain crowns are more demanding and may not have been taught in their dental school. If the dental bonding isn’t done correctly, you may also suffer tooth sensitivity. To avoid these problems, it’s best to have a qualified cosmetic dentist place your crowns. Dr. Randy is AACD accredited. You can be positive any smile he does is correctly bonded, natural-looking and artistic. Crowns are placed over the damaged tooth, serving the dual purpose of protecting the tooth and giving a more aesthetic appearance to your smile. If you have a tooth that’s damaged or weak, Dr. Burba may recommend a porcelain crown. The best candidates for veneers are teeth that are mildly discolored, aren’t spaced properly, show stained enamel cracks, are short in length, or are in other ways not cosmetically appealing to the patient. Veneers typically last approximately 10 years before you need to consider replacing them. 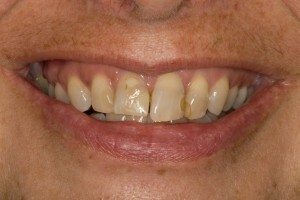 Sometimes patients report veneers too often appear large or bulky. When correctly created and applied correctly, this won’t be an issue. All porcelain crowns are not quite as strong as porcelain-fused-to-metal crowns. Since we use our back teeth to chew, there may be some situations where the added strength of porcelain-fused-to-metal may be necessary on those teeth. Choosing between veneers or crowns comes down to the goals of you and your dentist. While both procedures are desirable, the two treatments have different uses. 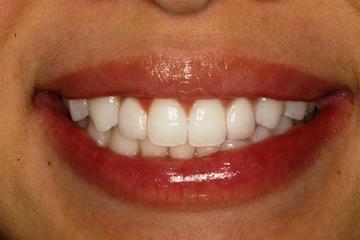 Typically we recommend veneers when a patient would like to improve the shape and color of their teeth. Crowding and space issues can also be fixed. 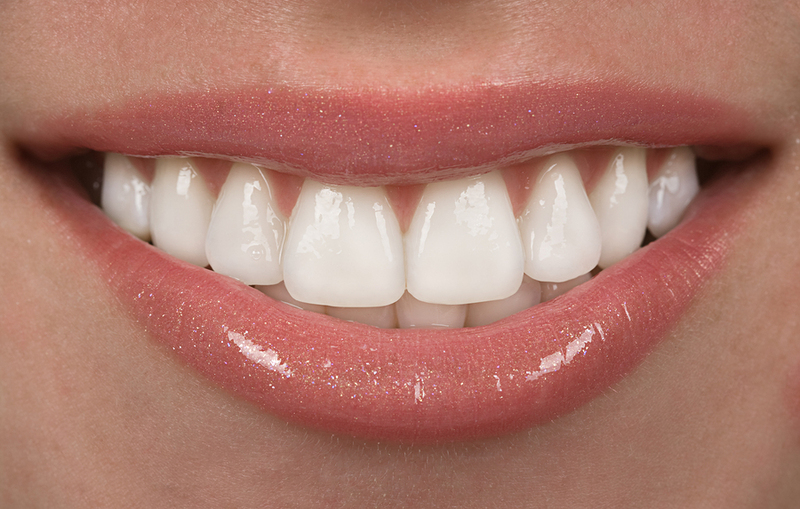 Veneers are customized to fit each individual patient’s needs. In general, they’re preferable to crowns – they leave more of the natural tooth structure. We use crowns in cases where there is less tooth structure, due to tooth decay, or in cases where a tooth has had a root canal. You too can look like a princess with our smile makeovers. In the end, it’s your choice. Do your own research, book a consultation. The best thing you can do is find people who’ve had the procedures done, and ask them about their experience and happiness level with their final result. We know whichever procedure you choose–crowns or veneers–you’ll be thrilled with your results and proud to show off your gorgeous pearly whites. 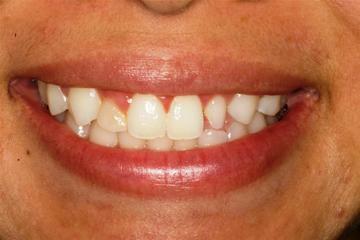 The gap can be fixed with veneers!